Packers Already Given Two Nationally Televised Games ~ The Bucky Channel - The World of Sports from Wisconsin's Perspective. Kicking off the season on national television is nothing new to Aaron Rodgers, who began his career against the Vikings on Monday Night Football. This season, Rodgers will open things up on national television once again, as the Packers quarterback will lead his team onto Lambeau Field on Sunday, September 13th. 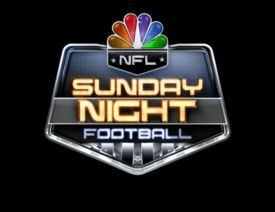 As you can tell by the graphic, NBC carries the Sunday Night package, with kickoff sometime in the 7:15 vicinity. The actual full schedule won't be released until quite sometime, but the NFL always likes to release the Opening Weekend primetime games a little early to keep their name in the papers. The Titans will face the Steelers in the Thursday Night game, continuing the tradition of showcasing the Super Bowl champions in the first game of the season. Monday Night games will feature the Bills against the Patriots, and the Chargers against the Raiders. Also, I am going to need to quit by waiter job at least before Thanksgiving, otherwise I am going to miss the Packers play. Once again, they will be heading to Detroit for the Thanksgiving Day game, this year's game being broadcast at 11:30am on FOX. Raiders/Cowboys and Giants/Broncos will be the other two games for your enjoyment on Turkey Day.